I'm thankful for the opportunity I've had to put down on paper some of the things God has put on my heart. 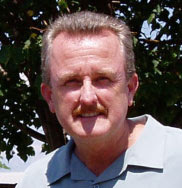 Dan Webster, Authentic Leadership Inc.
Dan was my youth pastor and through his teaching/life introduced me to Jesus Christ. Our relationship was in a large ministry (2000+ high school students), so we really never bonded until after I graduated high school and began to intern in the program he was leading. Later, we formed a more active friendship and I have been blessed by his mentoring on so many occasions that I've lost count. The thing on Dan's heart is simply that - the "heart" of leadership. If you are interested in knowing more than the "right thing to say" but becoming the kind of person who is about the "right things," I'd encourage you to check out Dan's many resources and begin your journey in an authentic place. 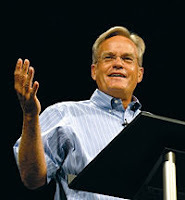 I'll be honest - some of my greatest lessons I've learned from Bill Hybels, senior pastor of Willow Creek Community Church, came about by cleaning his office. I was a third-shift janitor (part-time, just out of high school) and gleaned much from the intentional way he sought to give God his best. I won't go into details on this, but I will say that you learn much about a man by what he does and doesn't throw away in the trash can. Obviously, Bill is known for greater things than what I am mentioning. Accordingly, you should check out the WCA web site for more info his leadership resources. Bill is a high Type-A, but don't hold that against him... he seems to be getting the job done. When I was trying to gut out an effective ministry to teenagers in a variety of contexts, I came across a couple amazing communities of dangerous wonder... thinkers, feelers, activists, contemplatives, and so on who believed that there was more than one "right" way to help the church have the healthiest future possible - all by loving God and loving students. Had Group and YS not entered my life when it did, I might have thrown in the towel on more than one occasion. 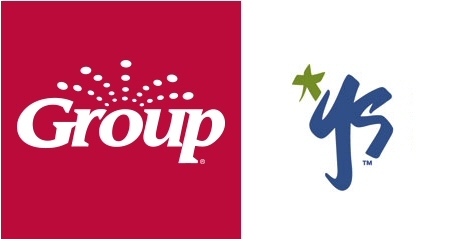 The Simply Youth Ministry Conferences and National Youth Worker Conventions have saved my sanity, spirituality, and strength when all three had dropped below "empty." I am thankful the time I've spent with three of the key leaders in YS - Mike Yaconelli, who once told me (in love) to shut up and start listening; Tic Long, whom I've appreciated in all the energy he put forth into the conventions; and Marko (Mark Oestreicher). Likewise, I'm a better follower of Jesus Christ through Rick Lawrence at Group and others whose hands are on a key steering wheel that can potentially bless the future of Christendom. 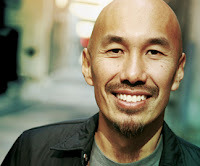 While every communicator has his groupies and critics, I simply consider Francis Chan a breath of fresh air to a Christian culture that needs much oxygen. The steps he's taken over the years to stay passionate and humble have blessed many people in numerous ways, and the sideline conversations he and I have shared helped me realize that I wasn't insane after all in loving the church. These three gentlemen had profound influence on me in college, and to this day I keep this picture close by for a reason. It's not for that reason, though... it's because these guys taught me some lessons through some hard stuff in their lives. Nothing more needs to be said than that, but I wanted to post this here for that reason.